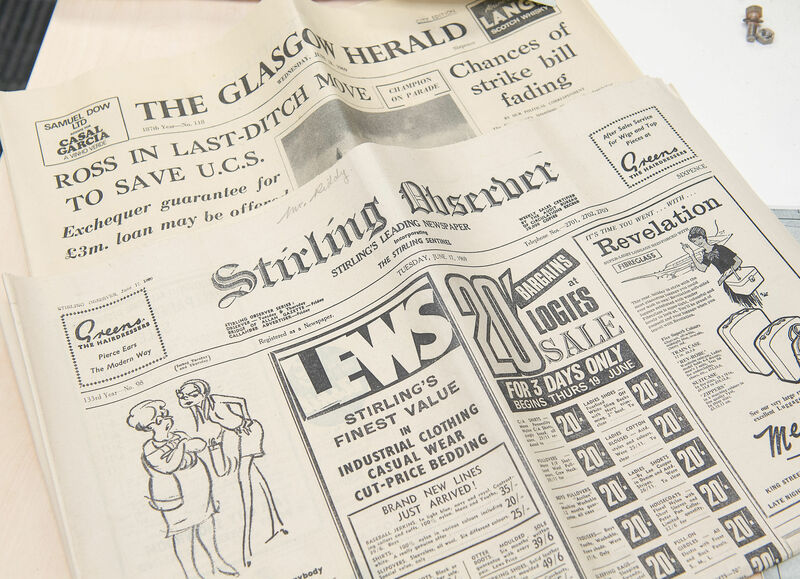 SPORTING items, a bottle of whisky, old photographs and newspapers from 1969 have been discovered in a time capsule at a university building. 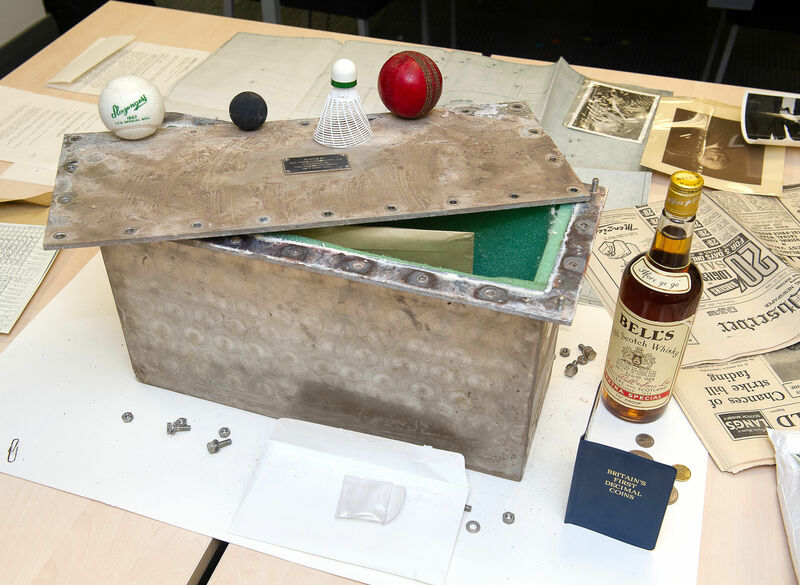 Senior deputy principal Professor Malcolm MacLeod opened the capsule at a special ceremony attended by Olympian and Commonwealth Games star Duncan Scott, who is on the university’s swimming team. 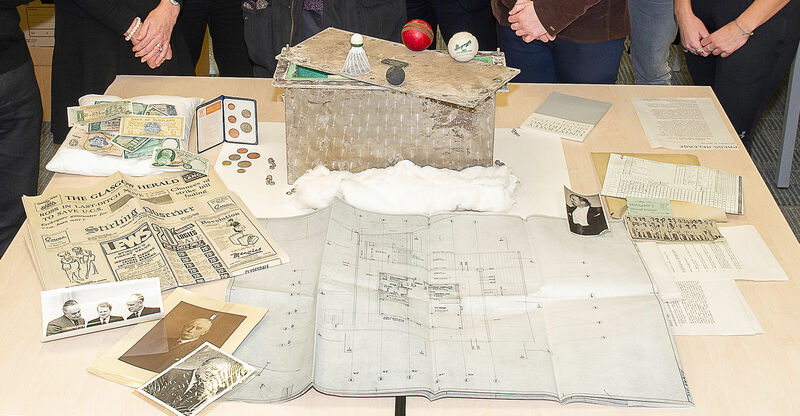 Prof MacLeod said: “It is an honour to open this time capsule which was installed in the Sports Pavilion by senior university staff almost 50 years ago. 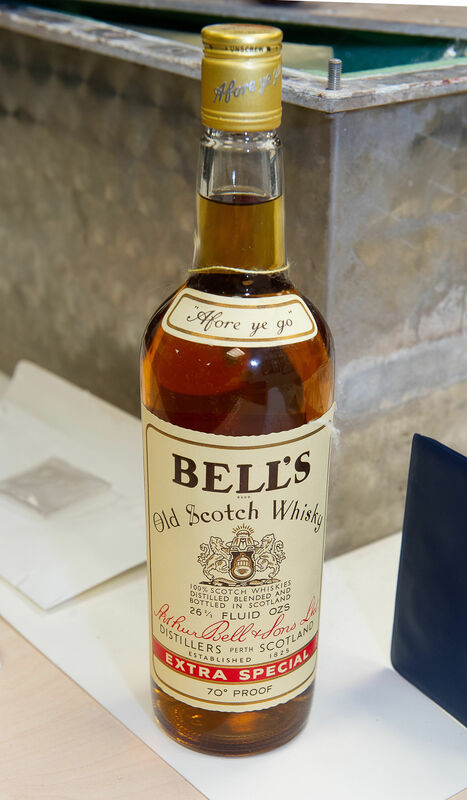 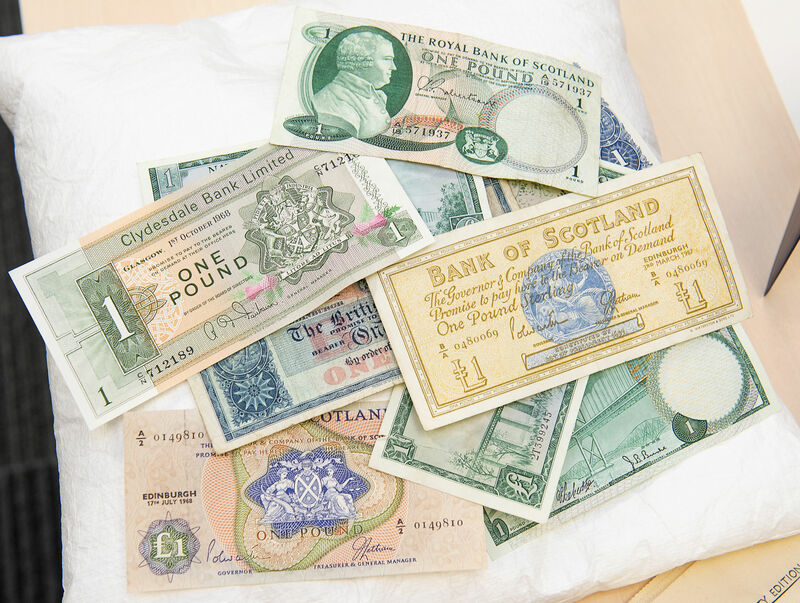 Among the items inside were a bottle of Bell’s whisky; cricket, tennis and squash balls; a shuttlecock; plans and elevations of the building; a copy of the university’s 1970-71 prospectus; a selection of currency; a 1969 exam paper; and a copy of the Stirling Observer and Glasgow Herald. 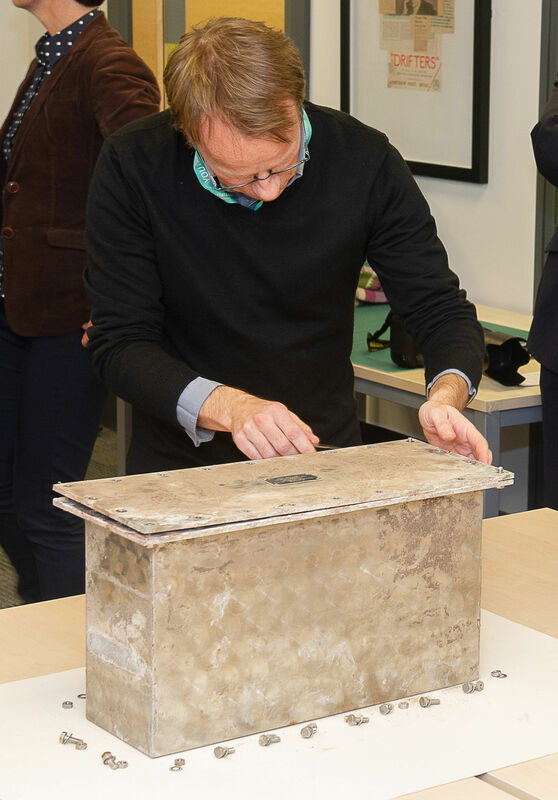 The university will add to the time capsule before sealing it within the new building, due to be completed next summer. 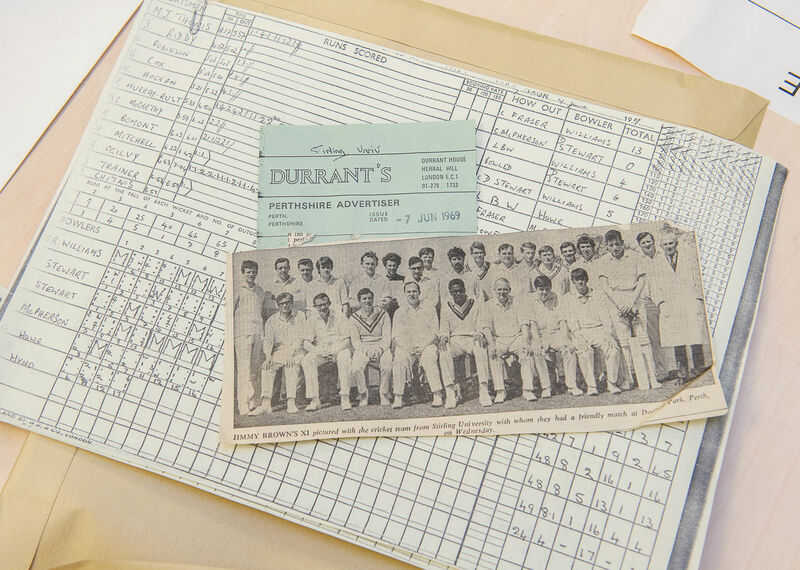 Cathy Gallagher, director of sport at Stirling, added: “(The) contents provide a fascinating insight into the early years of the university and the creation of the Gannochy Sports Pavilion. 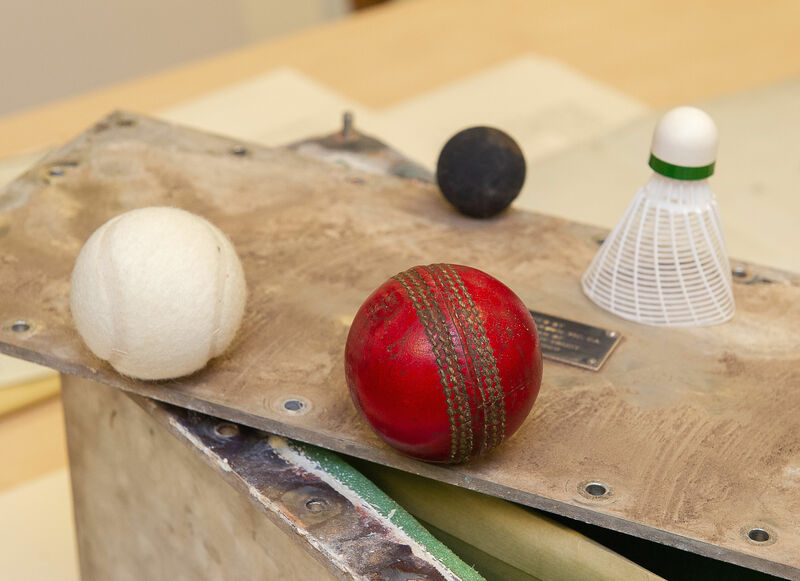 “The £20 million redevelopment of the sports facilities is another significant milestone for the university.